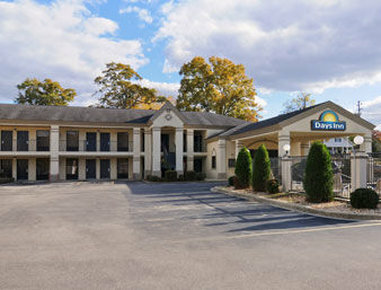 Check Rates & Availability at Days Inn - Oneonta AL! Days Inn, Oneonta Hotel is surrounded by the beautiful mountain and very nice atmosphere. Located on US Hwy 75, a few blocks away from down town, restaurants, shops, convenience stores, and other businesses. Guests will enjoy 24 hour coffee and ginger bread cookies at check in. Nice friendly service, affordable rates, and clean rooms and an Outdoor Pool. Looking forward to doing business with you. This hotel is nearby Alabamas one of the best golf courses, Limestone Springs Golf Course, beautiful mountain view drive to Talladega Race Track, Horse Pens 40, Palisades Park, with beautiful mountain view and hiking, Homestead Hollow Shows occasionally, Covered Bridge festival Annual, Rodeo occasionally, Antique Car Show Annual and Recreation Park is nearby.